The Newcomer’s Ministry at St. James’ began in late January of 2012. 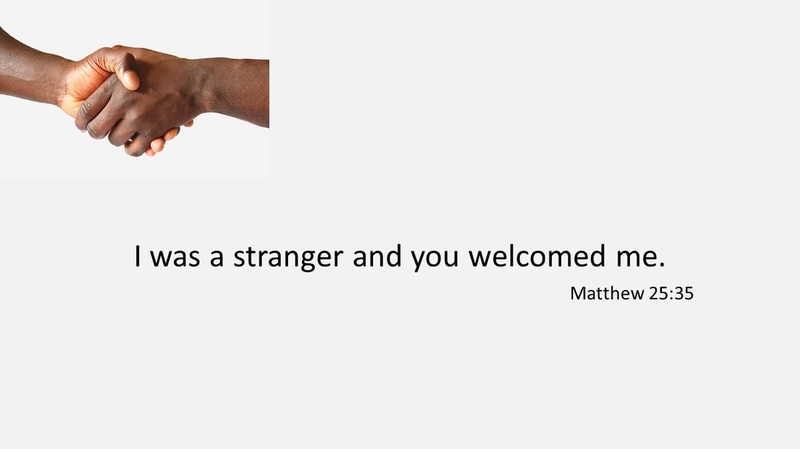 What We Are About: The Newcomer Ministry Team at St. James’ oversees and assesses the ways in which we engage visitors, follow-up with them, and connect our new members with fellow members and the ministries of the church. Our primary areas of focus have been Welcome and Connection. Our work is ongoing. We are always assessing and determining and trying new ways to help our visitors, as well as our members to get and stay connected. Initiated Newcomer Welcoming event and activities to introduce/connect new members to new church family. We now introduce new members by displaying pictures and brief bios on screens during welcome portion of service. We produce informational and promotional materials distributed to visitors and at church functions and community events in which we are involved. (Some of the material created and distributed were Lenten and Easter materials, magnets, business cards, postcards were designed and sent to visitors with Christmas schedule. A videotape was created to send to visitors Christmas 2013 with invitation to join us during Christmas season, but we were not able to re-tape for final distribution. Would like to try this again for Christmas season 2014. Implemented the use of name tags on Sundays when we have combined service to help us better know each other. Participate in the coordination of New Members Classes on a quarterly or as needed basis. Developed a Visitors’ Information page for the website. Maintain documentation on Visitors and New Members.